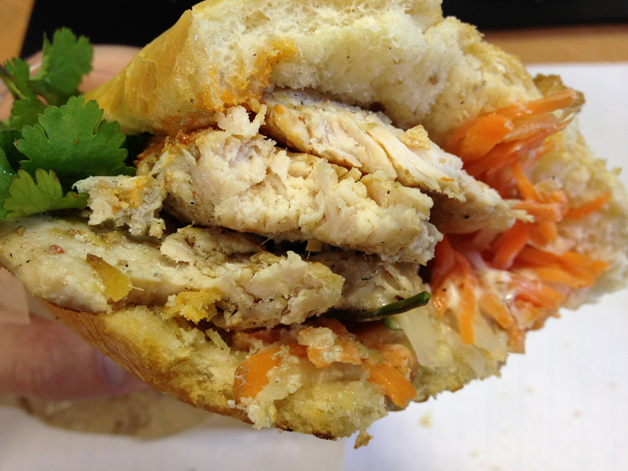 London’s best Vietnamese sandwiches? I eat my way through almost the entire menu to find out. 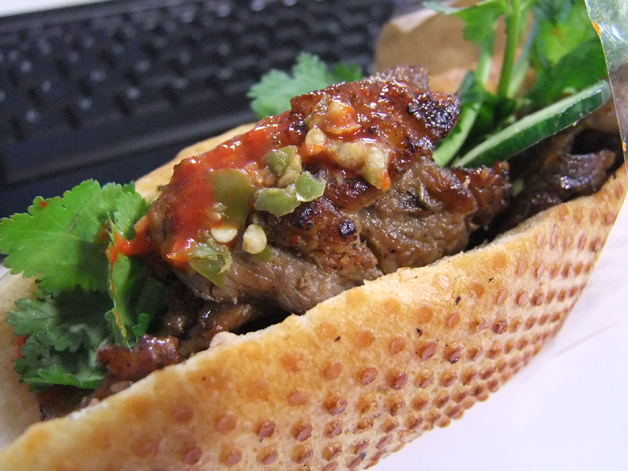 I have a few culinary obsessions and one them is banh mi or Vietnamese sandwiches. 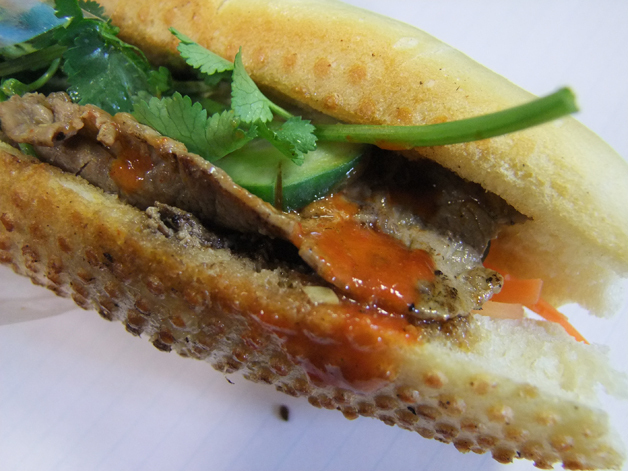 A few places in London do them and the simply named Banh Mi 11 may be the best of the lot. It’s not a restaurant or a cafe though – it’s a stand with one outpost in Berwick Street Market and another at Broadway Market. I’ve tended to avoid reviewing food stalls not because they’re bad, far from it, but because of their limited opening hours and lack of seating which makes them far from ideal for most people. 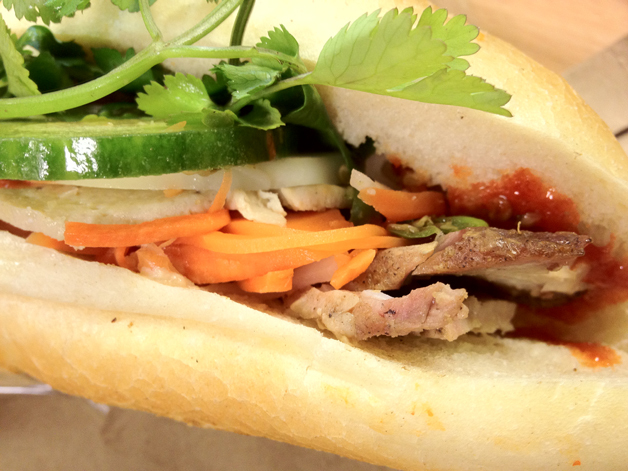 I’ll make an exception for Banh Mi 11 though, given my desire for a good Vietnamese baguette. There are six sandwich fillings available, but all use the same crispy, slightly sweet baguette which is warmed up in a small, onsite oven. Besides the main fillings, each sandwich also consists of carrot, coriander and cucumber along with spicy Sriracha sauce and freshly cut, fiery, numbing chillies if you want them. Although fresh and freshly made, the Euro Hedgie points out that the construction of the sandwiches should be rethought if they’re really meant to be eaten on the go – all the vegetables should be at the bottom with the main filling layered on top to make the whole sandwich more compact and less likely to drip, which I agree with. The Hedgie would also prefer to the cucumbers to be cut into thicker chips rather than thinly sliced and the coriander to be chopped and mixed in with the soft, shredded carrots rather than served as whole sprigs. I have to disagree with the Hedgie here as I think the fresh coriander would lose its impact if chopped in this way and I prefer my cucumbers to be thinly sliced so they don’t get in the way. The filling that’s likely to get the most attention is the crackling pork belly which not only sounds compelling, but is also listed first on the chalkboard menu. It’s far from the best crackling or pork belly I’ve had though – it’s a bit overcooked so the spare amount of crackling is rather soft, while the meat is a touch dry and lacks the layer of tenderised, flavoursome, melted fat that makes a really good bit of belly. This belly needs a bit more welly. If you want a good porking then you’re far better off with the Imperial Barbecue which is easily my favourite filling. The tender, sweet and caramelised chunks of pig taste great and are occasionally blessed with some charred, smoky burnt ends which are sinfully good. 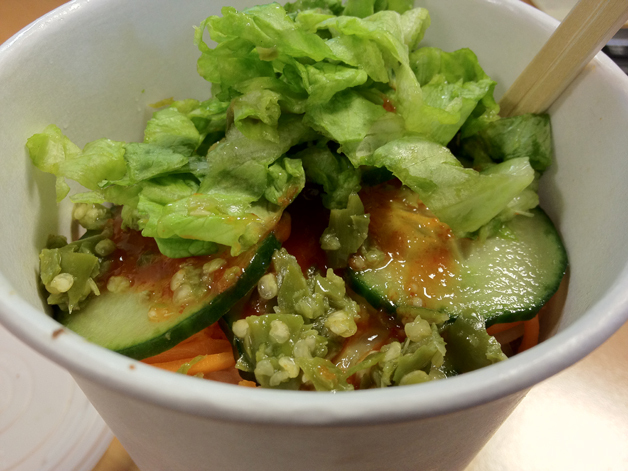 The carrots, cucumbers and coriander provides a refreshing counterpoint. As I keep telling The Lensman and The Euro Hedgie – it’s all about the Imperial BBQ. A sandwich fit for an Emperor. Catfish doesn’t turn up on London menus very often, never mind in sandwiches. The catfish here is meaty and zesty, but it doesn’t have the musky earthiness of the best catfish. Still, it’s always nice to have a pescatarian option. The chicken isn’t anything to write home about. It’s rather dry with hints of ginger and pepper – similar chunks of chicken can be found in Chinese takeaways up and down the length of the country. The tofu is the vegetarian option and here it’s soft and milky. Although I’m not fond of excessively soft tofu, it’s compensated for by a surprisingly fruity, vinegarish edge which doesn’t overwhelm the milkiness of the tofu and compliments it surprisingly well. 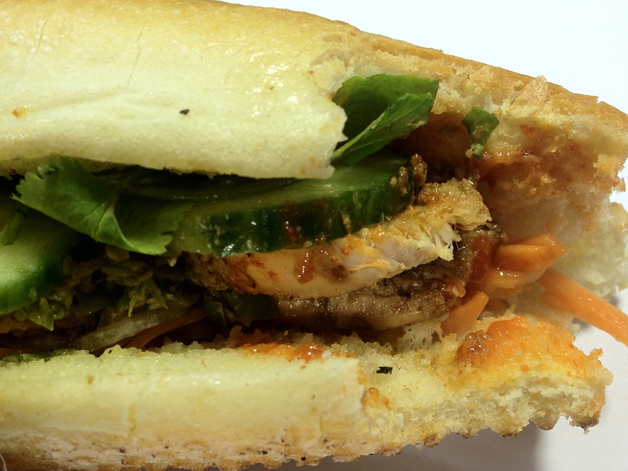 This tofu sandwich won't win over anti-tofu bigots. I wasn’t expecting much from the beef and while they weren’t embellished with any extras, the freshly griddled wafer thin slices of cow were surprisingly tasty thanks to the occasional streak of fat. If a sandwich sounds like far too much in the way of stodgy carbohydrates, you’ll be glad to hear that most of the fillings are also available with vermicelli noodles in the form of a noodle salad. It’s served in a circular carton originally designed for soup. The salad is layered rather than mixed together with the firm, milky noodles at the bottom, your choice of filling making up the middle layer and carrots, cucumber, lettuce and fresh chillies sitting up top. It’s not bad, but it would be more interesting with some sort of unifying element like a fish sauce and chilli brine. Although the focus at Banh Mi 11 is firmly on the sandwiches, a couple of other classic Vietnamese dishes do make cameo appearances every now and again. 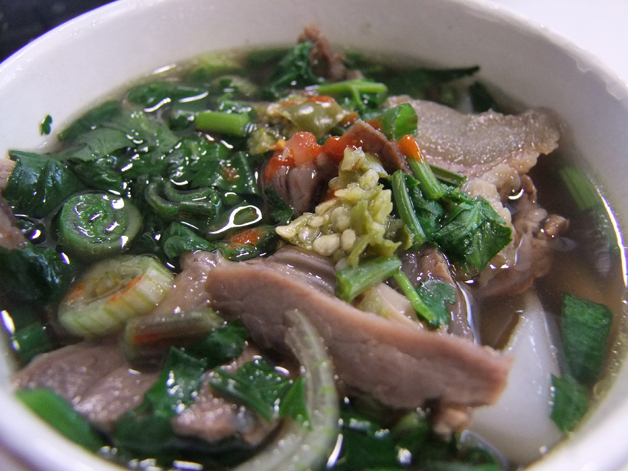 The first is pho or beef noodle soup. Although it’s not as fragrant as I would like, it’s still one of the best pho I’ve had in London with thin slices of beef sometimes streaked with sinew and fat, a reasonably clear, tangy broth and firm, thick rice noodles. Sriracha sauce and fresh chillies are available on demand of course. Occasionally, the thin slices of beef are replaced with thicker gnarlier chunks of more peppery beef although this doesn’t happen often. Best of all, if a sandwich isn’t quite filling enough, I find that a mini serving of pho is a perfect accompaniment and costs just £3 – half the price of a full serving. Pho - a short word that's annoyingly tricky to pronounce. I’ve had some appalling summer rolls in London, but Banh Mi 11’s version thankfully doesn’t fall into this category. 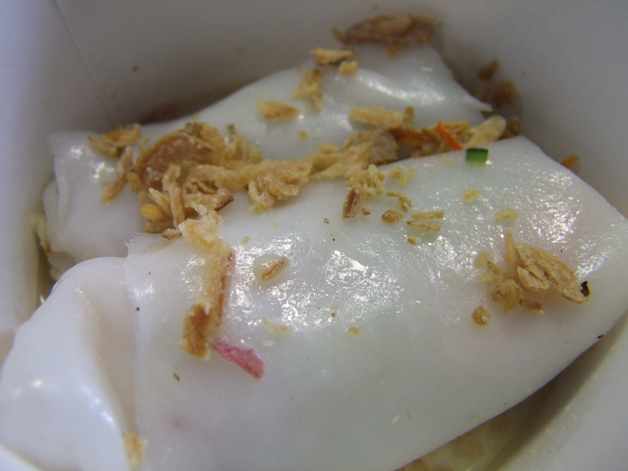 Although the portion size is small, the thick cannelloni-width rice noodles are firm and fresh and can be filled with select sandwich fillings, usually catfish or one of the porks, and some vegetables. It’s all topped off with some dried shrimp and a zesty, salty brine. The Vietnamese sandwiches are Banh Mi 11 are among the best I’ve had in London with particular praise going to the Imperial BBQ pork. It just misses out on a top five star rating though since it could learn a lesson or two from the now sadly defunct Viet Baguette which used to be located on Charlotte Place in Fitzrovia. 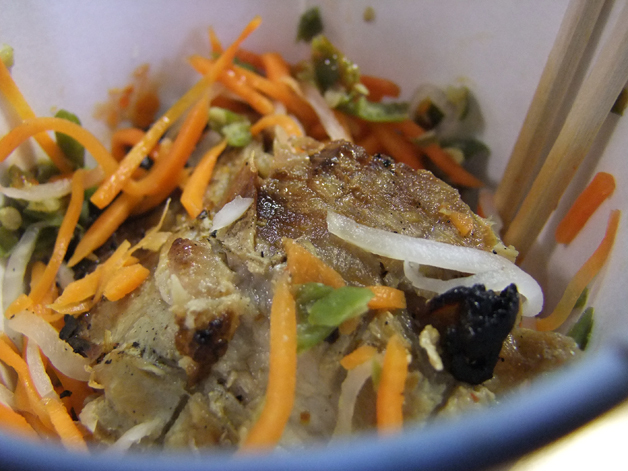 Before closing, it had some delightfully non-traditional banh mi filled with interesting pates and hams. 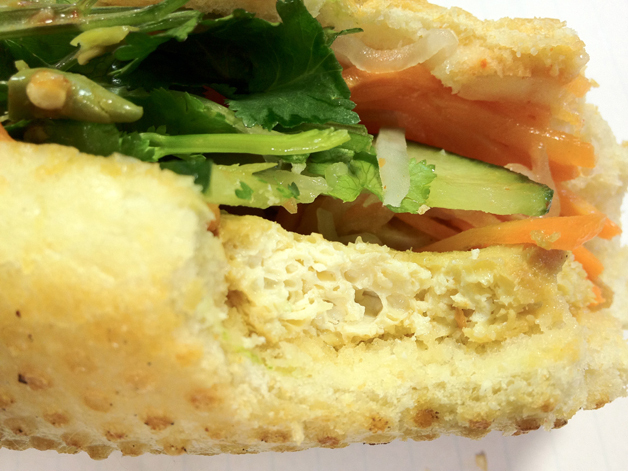 It may seem unfair to compare Banh Mi 11 with somewhere that’s now closed, but my point stands – there’s still room for improvement especially when there are duff fillings like the chicken. Even so, if you’re in the Soho area on a weekday lunchtime and in need of a filling, quality sandwich then it’s well worth queuing up at Banh Mi 11. Total cost for one person: £5-6 per sandwich. Tags: baguette, barbecue, bánh mì, bbq, beef, catfish, chicken, crackling, london, noodle soup, noodles, pho, pork, pork belly, review, salad, sandwich, street food, summer rolls, tofu. Bookmark the permalink.